Here’s a deep dive into how gift cards have changed retail and the innovations that incentive-based businesses are bringing to the loyalty game. Gift cards play an important role in incentive marketing. According to the Incentive Marketing Association, last year the US corporate market spent around US$76.9 (AU$107.1) billion on incentives – including merchandise, experiences and gift cards. The area in which incentive programs are most popular is customer loyalty and retention. One study by Yotpo found that loyalty rewards and perks make up 35% of a consumer’s consideration of trying a new brand. Though gift cards have certainly become a mainstay in modern retail and marketing, there’s one issue: they’re still exactly the same as they were in 1996. Taking a deeper look at the role gift cards play in the marketing function, Marketing spoke to Sara Guthrie, rewards marketplace director at BI Worldwide (BIW) – a global firm specialising in employee rewards and recognition, sales incentives and loyalty marketing. “We’re actually one of the global leaders in the loyalty and engagement business. We’ve got approximately seven million plus participants, and we have programs in over 150 countries,” says Guthrie. The rewards marketplace offers a centralised online location for employees and customers to choose from a range of rewards. Approximately a year ago BIW brought in a new supplier, Prezzee Business, to facilitate its gift card offering. Prezzee is a platform that allows users to store and send digital gift cards from more than 70 retailers. 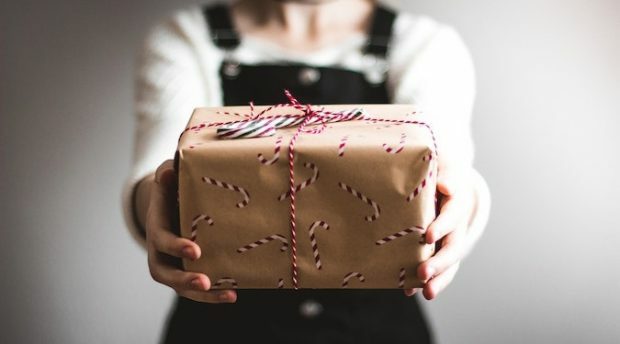 Prezzee Business is an offering that grants businesses the ability to send digital gift cards at mass, equipped with delivery and redeem tracking. Beyond the bells and whistles, Guthrie says customers really enjoy the fact that the gift cards are digitised and accessible from anywhere. This should come at no surprise, according to the 2018 Inmar Shopper Behavior Study, just over half (53%) of consumers expressed a desire for all coupons to be made digital. “Digital gift cards have taken off now in place of physical cards. From our experience, switching to digital has been really well received. “Before you had a wallet full of PDFs and plastic cards, now they are stored and accessed digitally,” continues Guthrie. Specialising in incentives, BIW works across many different sectors within the rewards industry – providing the infrastructure for customer loyalty programs, but also for employee recognition programs. Retail has been shaken by waves of disruption in recent years, and loyalty – both from customers and employees – is being redefined. It turns out, what is critically important is how easy for users the reward is to interface with and apply.